Chuck Olin began his film career in Chicago during the late 1960s, producing television commercials, corporate films, and documentaries about the social unrest of the time. 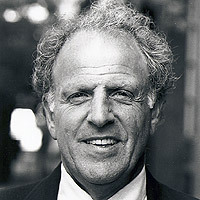 In the mid-1970s, Olin formed his own production company continuing to produce and direct documentaries as well as corporate and educational projects. The subjects that Olin covered included art, politics, business, history, and urban affairs. His Eight Flags for 99 Cents is a documentary that sought to debunk the Nixon administration's myth of "the silent majority" in relation to the Vietnam War. Olin's Between the Lions is a television documentary done for The Art Institute of Chicago's Centennial celebration. The Gift and EMMY award-winning Palette of Glass are two films done with famed French artist Marc Chagall about, respectively, monumental mosaic and stained glass work. Olins's most acclaimed film to date has been In Our Own Hands: The Hidden Story of the Jewish Brigade in WWII. This epic documentary about the only all-Jewish fighting unit in World War II, a little known story nearly lost to history, has made its own unique mark on audiences and critics around the world. Premiering on PBS in April of 2000, In Our Own Hands garnered great reviews including Siskel & Ebert's "Two Thumbs Up! ", and has also been broadcast throughout Europe. Chuck Olin passed away in 2OO4 after a short illness. Call It Home is dedicated to him.